Today, I want to share with you all a food subscription box! I discovered this new food subscription box called Snackbox from Gwen over at www.devourandconquer.com . Special thanks to Gwen, she was the one that given me the wonderful opportunity to try out Snackbox from her giveaway back in December 2013! What is Snackbox? 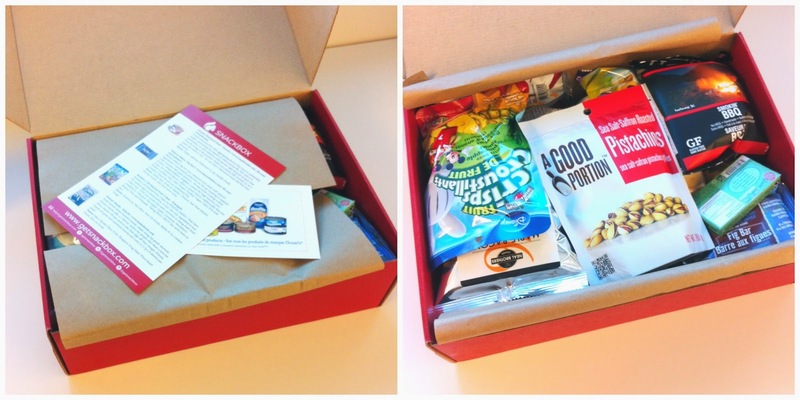 Snackbox is a Vancouver-based company, each month snack subscriber will received 10 to 12 nutritionist approved snacks delivered to your door. 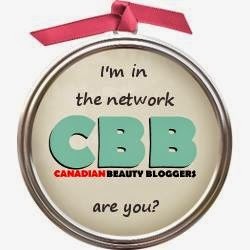 Currently they only ship to Canada only! My current subscription status: Six moths subscriptions as of January 2014. 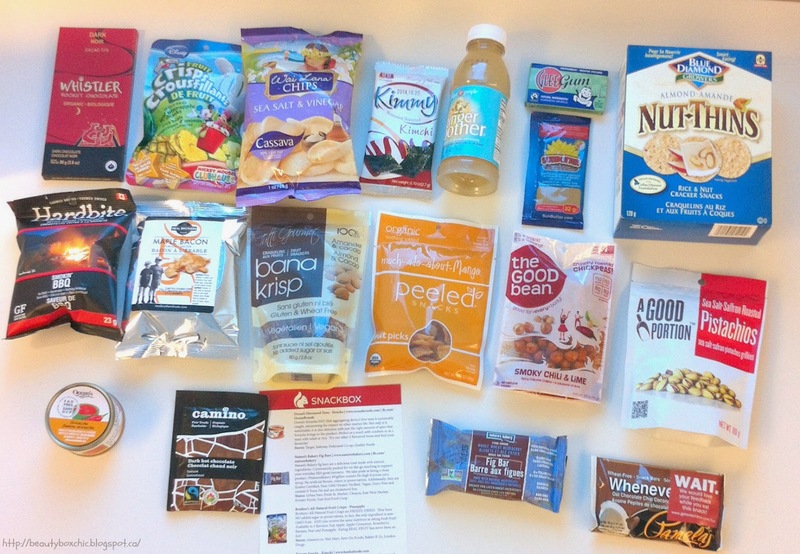 In my March Snackbox, I had found 18 different types of healthy nutritionist approved snacks! This is more than what I expected to get in my Snackbox! 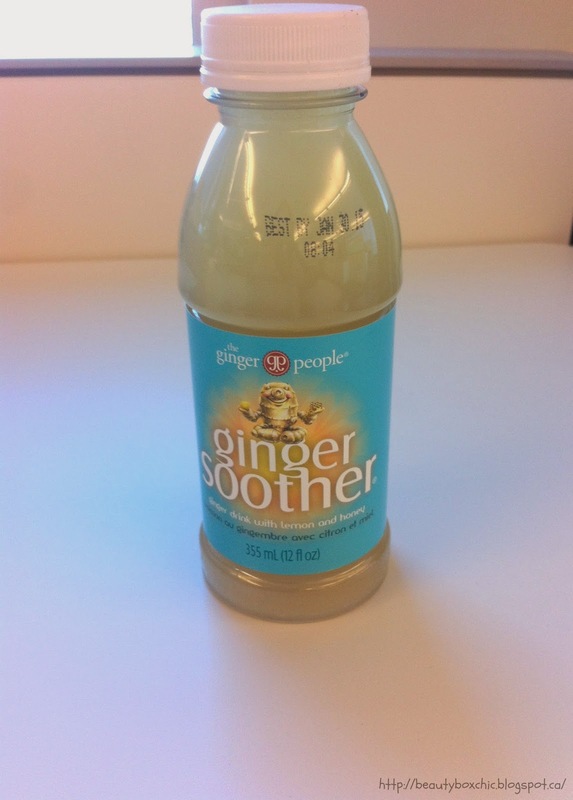 ♥ The Ginger People – Ginger Soother (355ml bottle, Total Value $3.29)This is the first thing I drink, this is a ginger drink with lemon and honey. A great pick me up! It was super refreshing and taste amazing! I really like this alot, since I really like ginger, it taste so good! This is the second thing I ate yesterday as a snack at school! 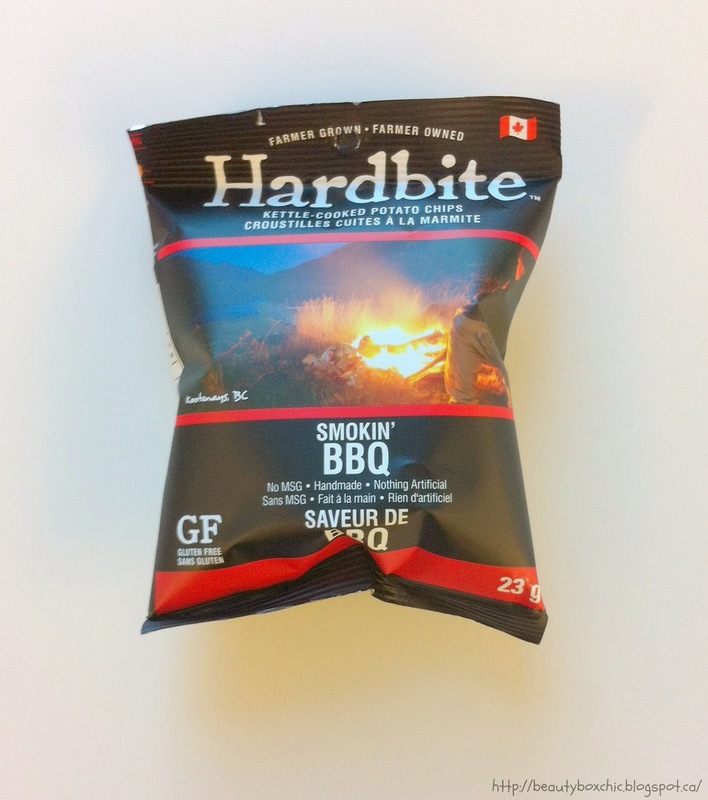 It is a Smoking BBQ flavor chips!!!! It was Sooooo goooood :D This really satisfied my craving for chips and love the taste! Another chip in my box! I love chips in general! This is will be another great snacks for school tomorrow! Third chips in this month Snackbox! Snackbox is on the roll! Cant wait to try this out! 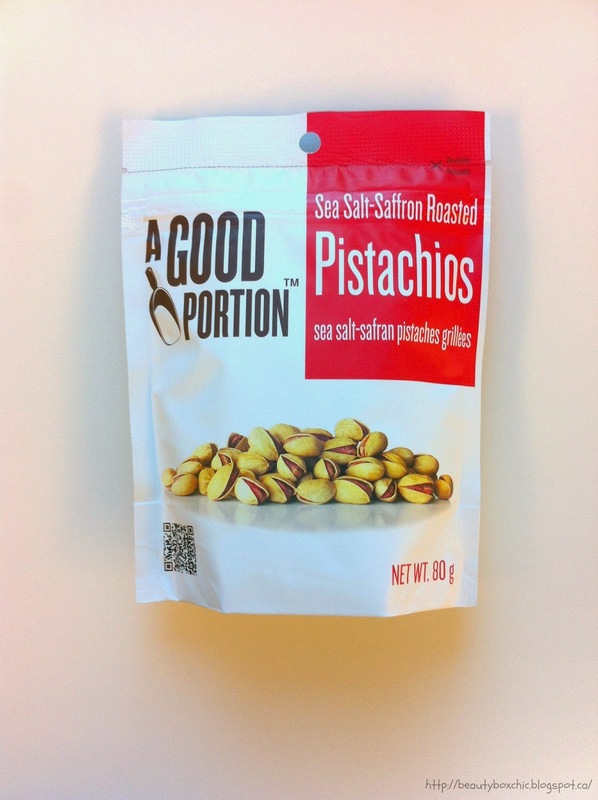 I haven’t eaten a pistachio for a long time, it is so nice to get this. Can’t wait to try sea salt-saffron flavored ones! I love dark chocolate! Nothing beat chocolate other than chips! Can’t wait to try this as well! I love gum in general, this an aspartame free gum! Another type of aspartame free gum that I like is called Pur! Can’t wait to try Glee Gum! 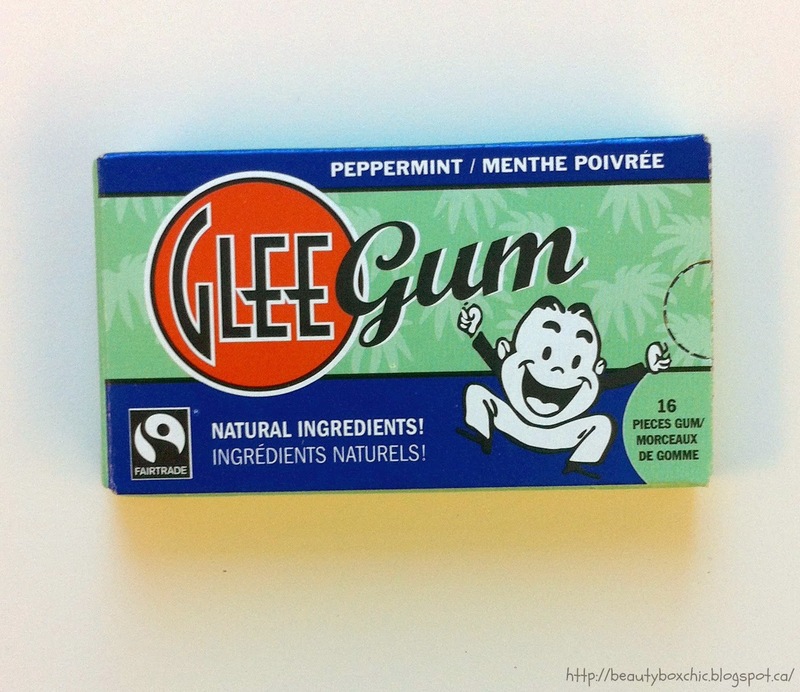 I only saw Glee gum at my local community natural food store before! 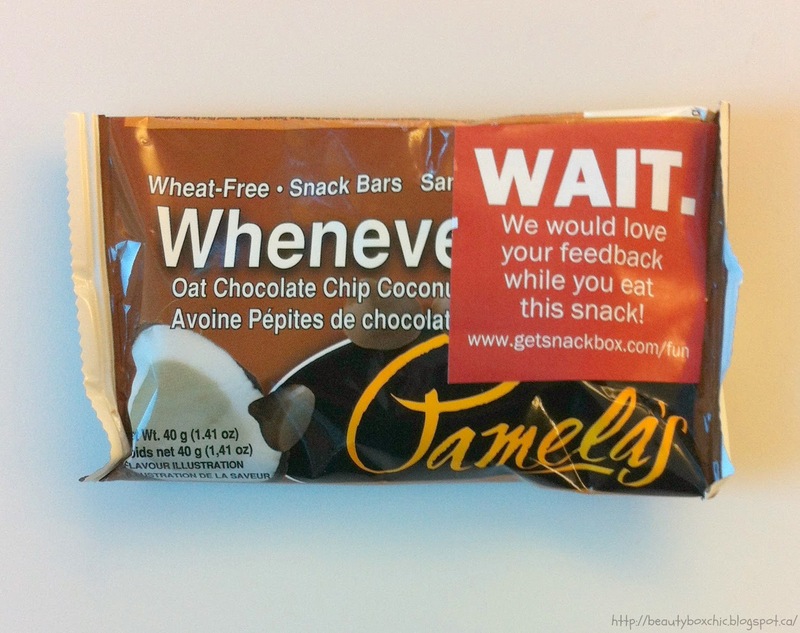 It is so nice that Snackbox include this in our box! 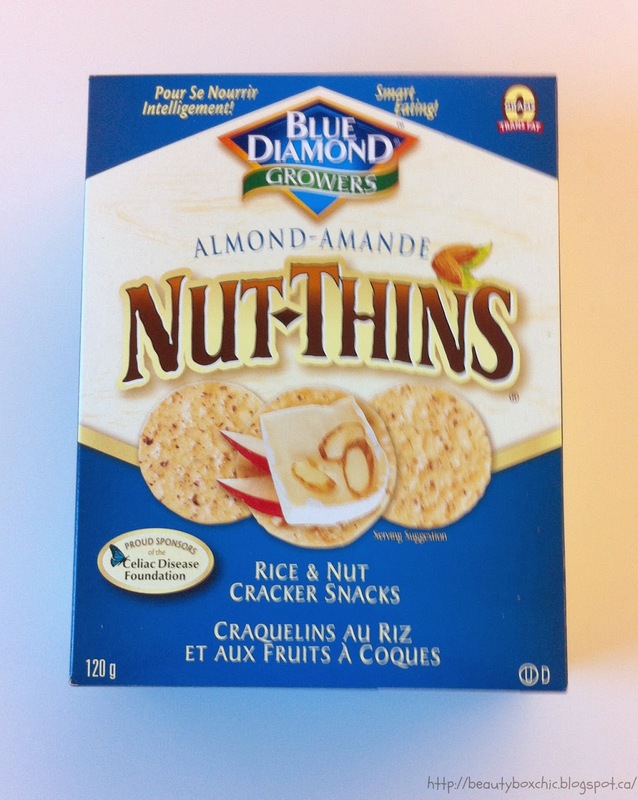 Nut thins are a crunchy gluten-free crackers made with rice and almonds! So nice to get a FULL SIZE box of crackers plus I love almonds! Second box of snack crackers found in my march snackbox. 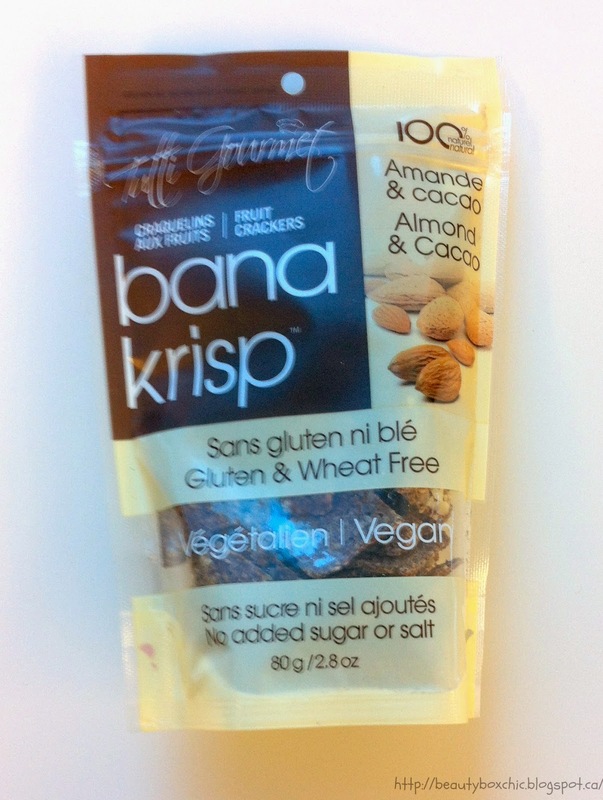 They are fruit crackers made with cacao and almonds! Love almonds! Nice! 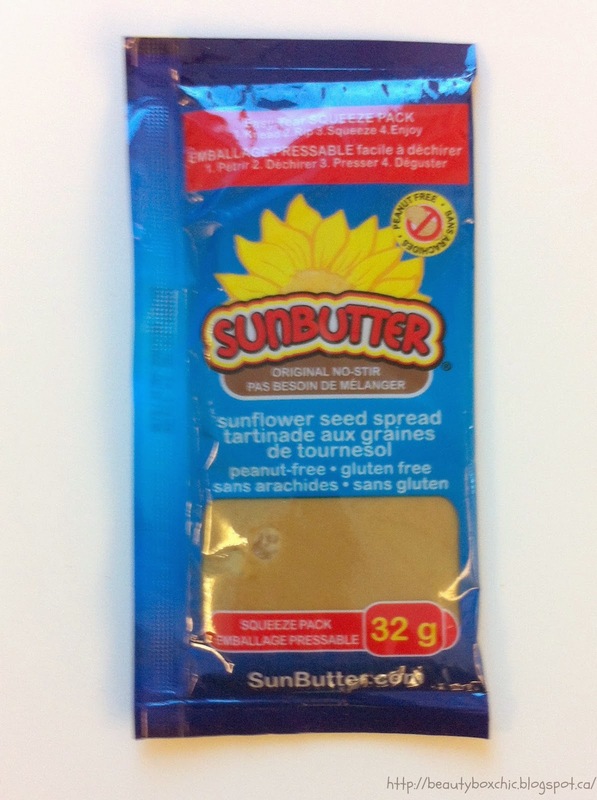 A spreadable sunflower seed butter, made with roasted sunflower seeds! Another alternative to peanut butter! Cant wait to try it on my morning toast prior classes! Love mangoes! 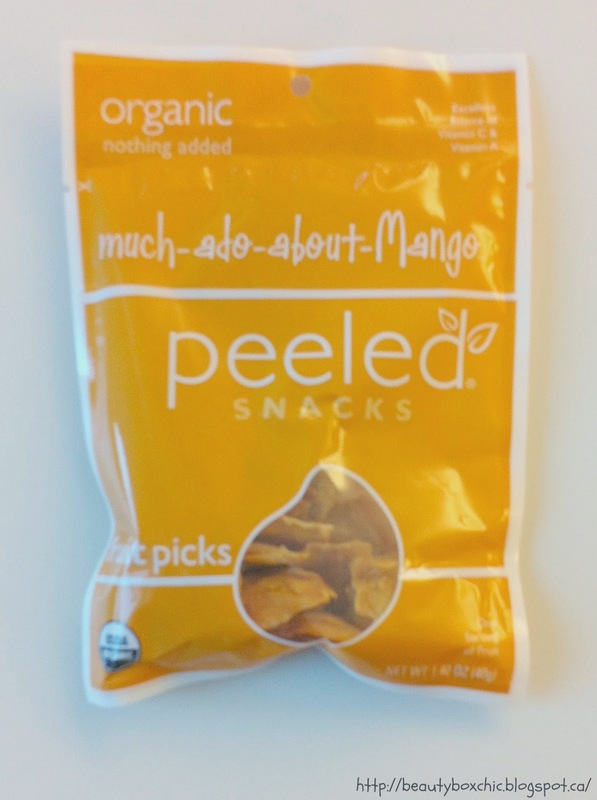 This is a dried fruit snack, plus no added sugar with a full serving of fruit in this package! I have seen this in Starbucks before but never have the chance to try it yet. Can’t wait to try it out! 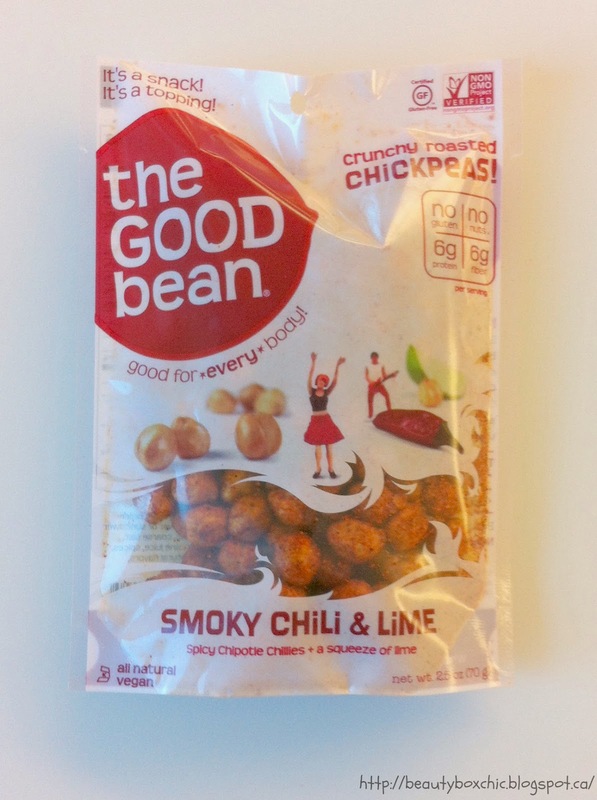 This is a chickpeas snacks with a smoky chili and lime flavor to it! Very different, never try something like this before as a snack! This is a snack bar made with oats, chia seeds, chocolate chips and coconut, it is also wheat-free! 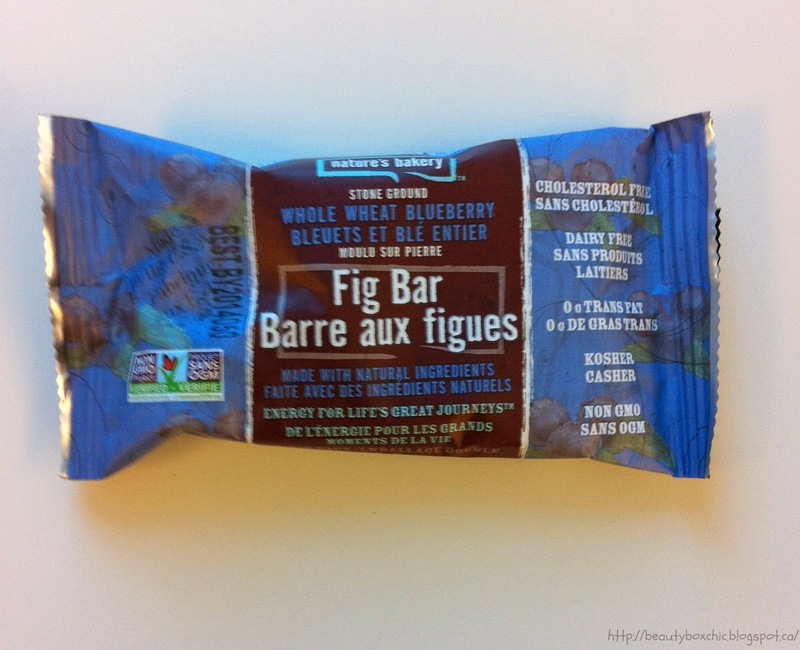 ♥ Nature's Bakery Fig Bar (56g Twin pack, Total value $1.66)This is another snack bar made with whole wheat blueberry! 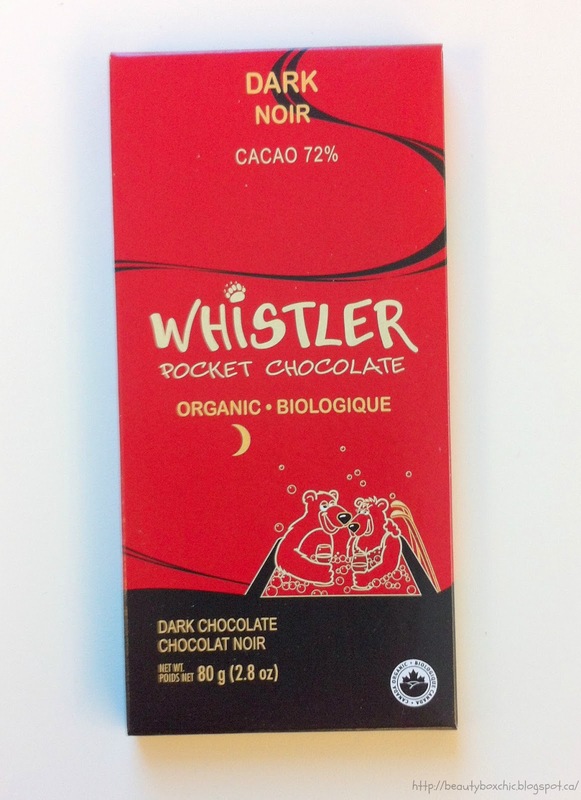 It is dairy free and made with all natural ingredients! 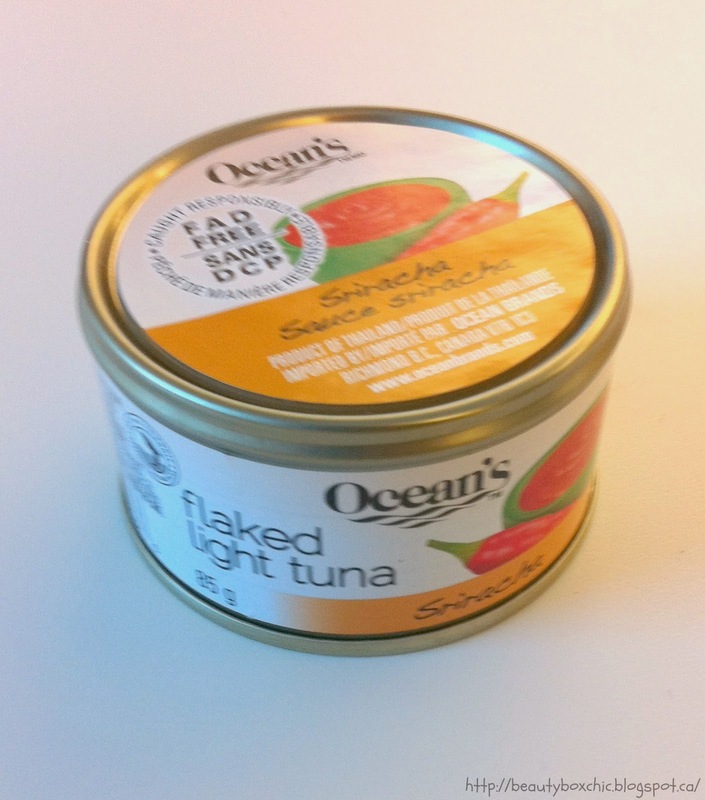 This is a Sriracha sauce canned tuna, this is different never saw this flavor in the supermarket before! I am worry that it will be very spicy, maybe my sisters or mom will enjoy this more,as I don't like food too spicy. This is one of South Korea's finest Seaweed snacks! 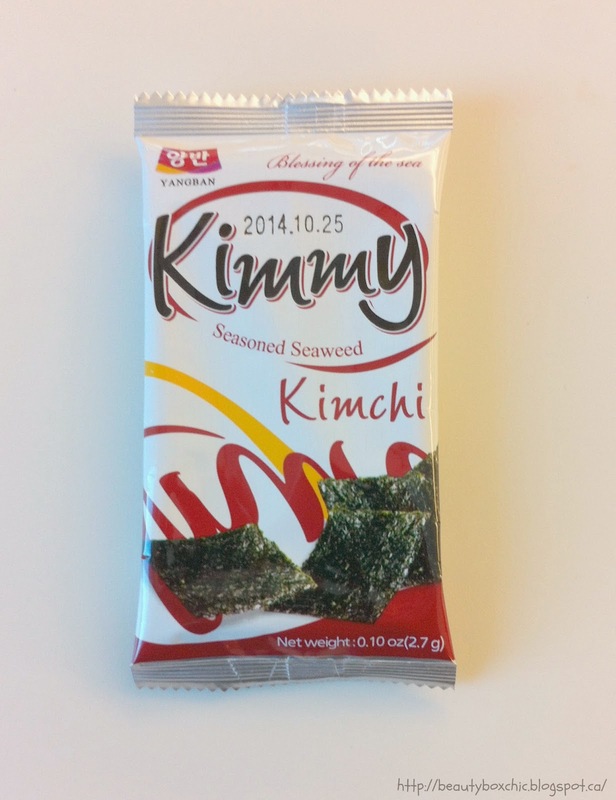 Love this ethnic snack, I personally love seaweed in general, so excited to see this in my snackbox! I haven't try kimchi flavor before, it is always nice to try something new! 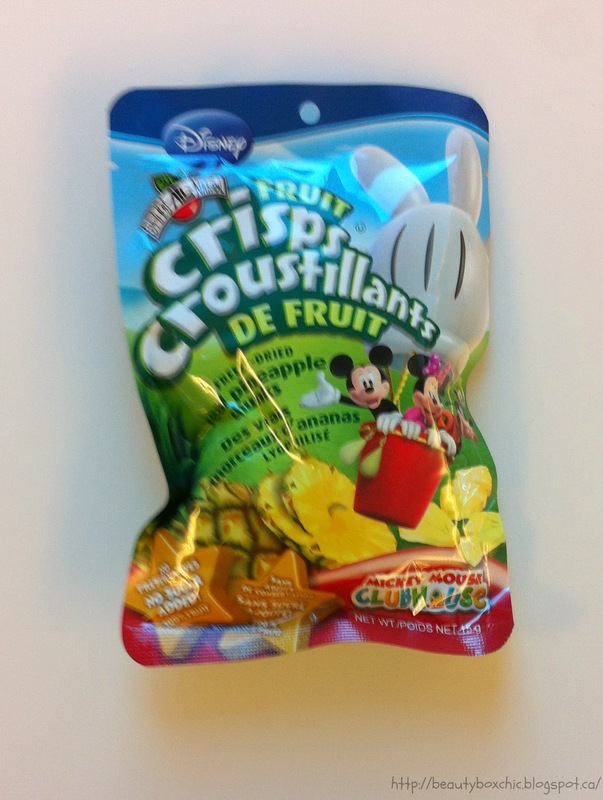 This is a freeze-dried pineapple snack by Fruit Crisps, there only ingredients is pineapple that is freeze-dried! They have the same nutrition value as fresh slice of pineapple!! 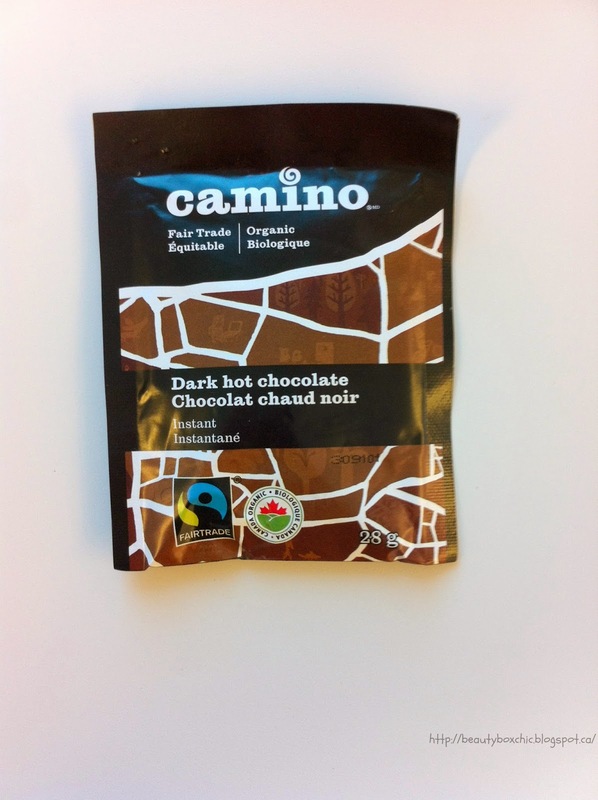 This is an instant single serving organic dark hot chocolate! Nice treat for a cold day! Lately Calgary have been snowing, it is so nice to enjoy a cup of hot chocolate with couple marshmallows by the fireplace!!! Already sound so Yummy!!!!! Total value of March Snackbox? Over $49 dollarsWill I repurchase Snackbox? Yes, definitely will, they have sold me this month! 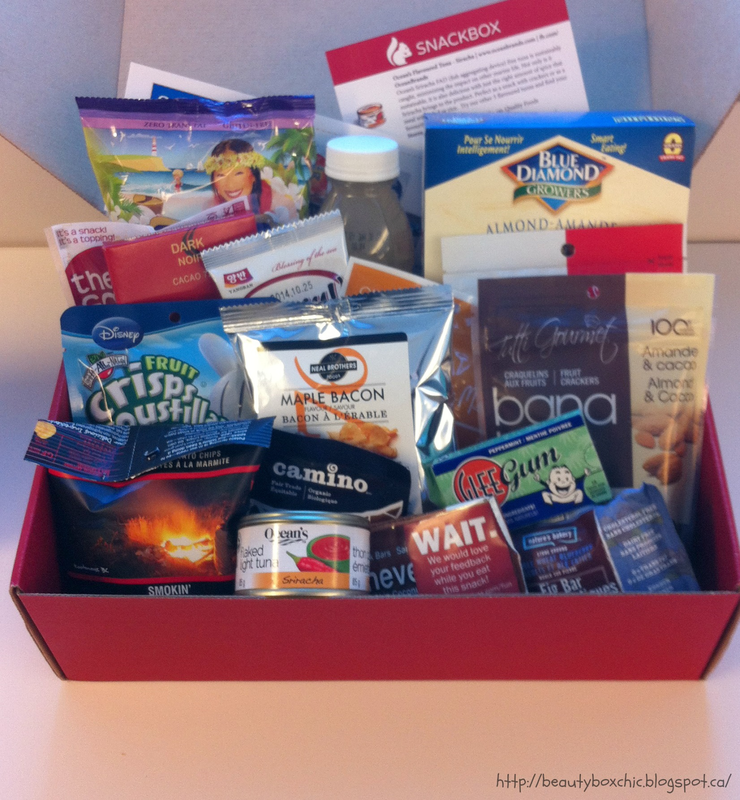 What an amazing value box, it give me the opportunity to try out new healthy snacks! Totally impressed!!! This is my third Snackbox , I have joined Snackbox since January 2014. 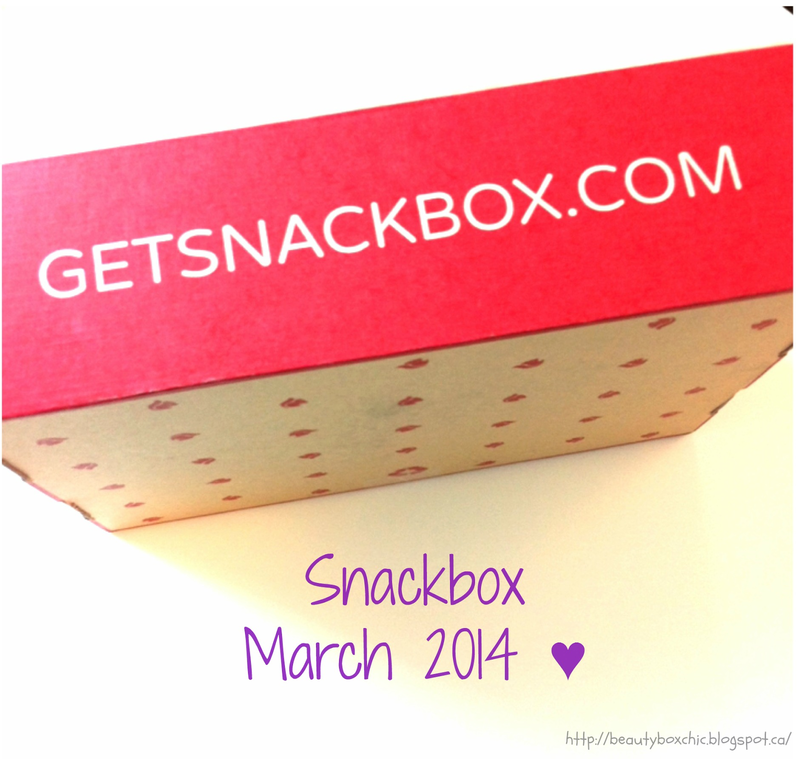 Instead of beauty subscription boxes, I also look forward of receiving my Snackbox each month! As a student, sometime I don’t have time to prepare a proper meal. It is so nice and convenient to be able to bring these healthy snacks to school and on-the-go! 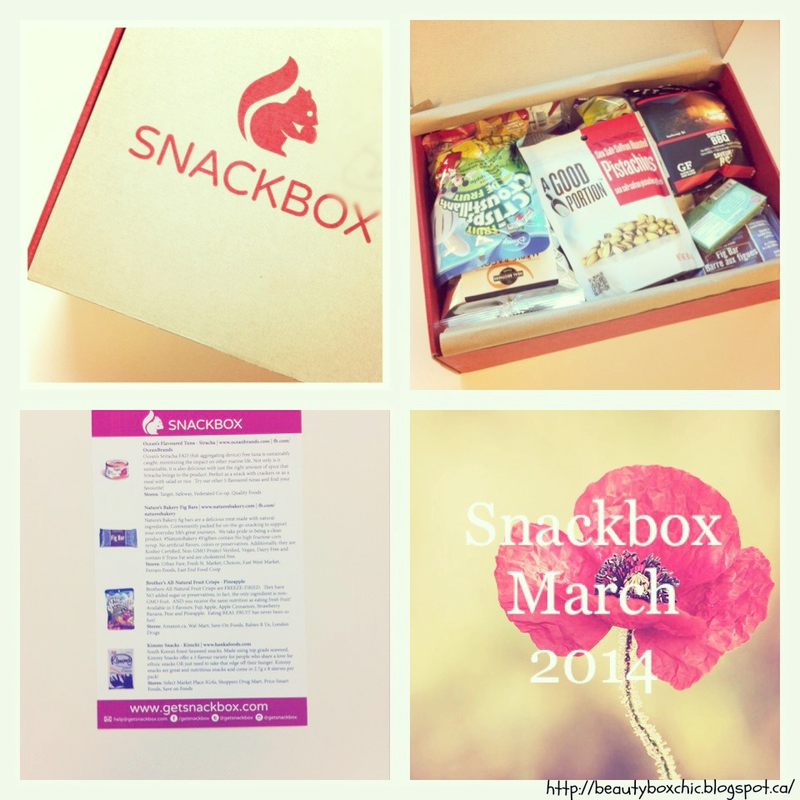 I am really enjoying my subscription with Snackbox and wanted to share this with all of you! What do you think of March Snackbox ? Will you give this a try? 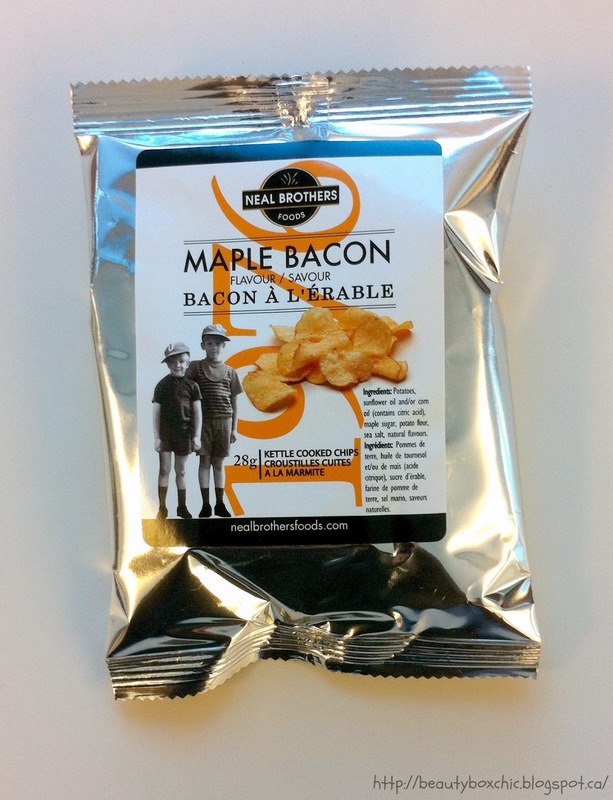 A BOX OF FOOD and based in Vancouver?! That is an awesome box! AND I LOVE GINGER! I think I will love that drink, I never seen it in stores before.Mango tooo :3 I will check this site out! Wow Janet you got a lot! I hope we also have this here. 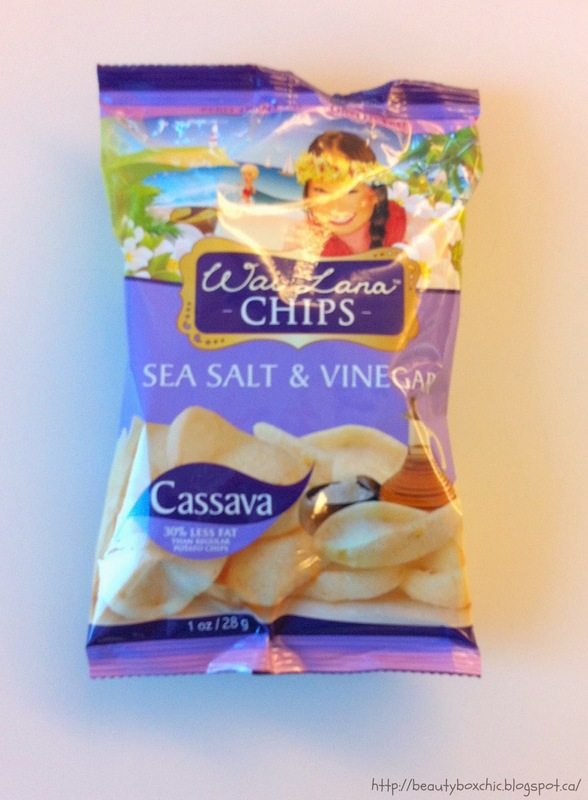 I also want to have here the Olia box (accessories) I think I've tried the Cassava chips before, that particular one you got :D yummy! Enjoy your snacks my dear! I'm glad the value is good! 6 months seems to be the best bang for the buck. I'll have to keep this subscription in mind. YUMMM!!! i think i would absolutely love to get a snackbox mailed to me on a regular basis lol!! especially one that has healthy snacks because i tend to always snack on really bad things ie. high cal and low nutritional things lol!! this one looks so healthy but good! OMG! this post of yours make me crave on junk foods. haha :) Glad your country had a different subscriptions. My country offers beauty products only. That ginger drink looks realy good!